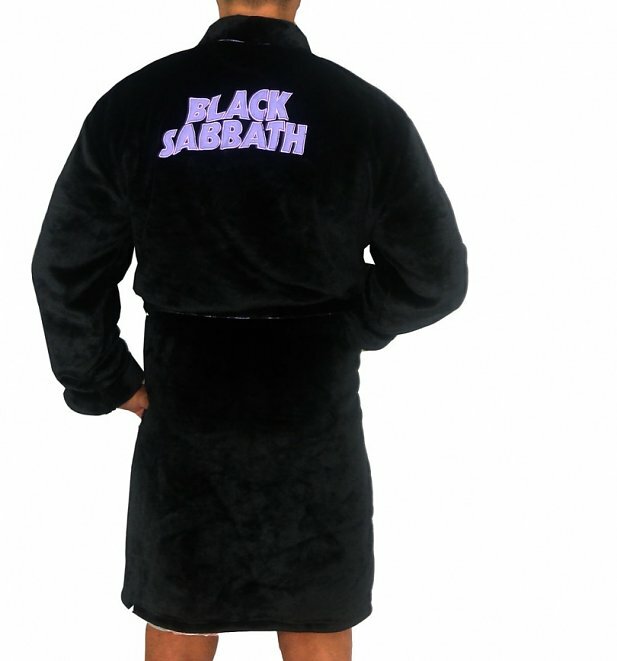 Show your appreciation for one of the most influential heavy metal bands of all time with our epic Black Sabbath dressing gown. Composed of the softest fleece, it comes complete with the band name embroidered on the chest and back and is finished with matching white piped detailing. Great gift idea for a Sabbath fan!